Grab your tote and head West! 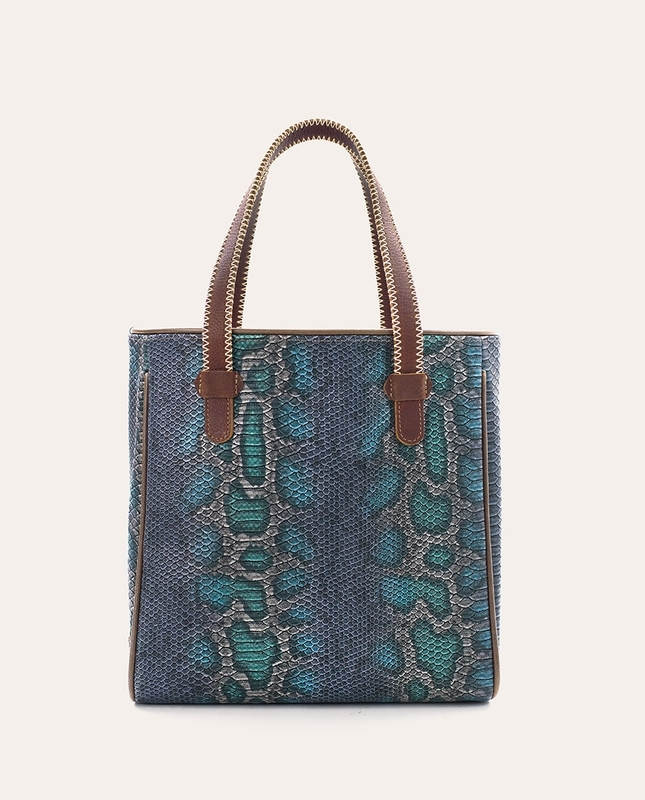 Get re-introduced to the Rattler - undoubtedly sleek and hypnotically serpent like. 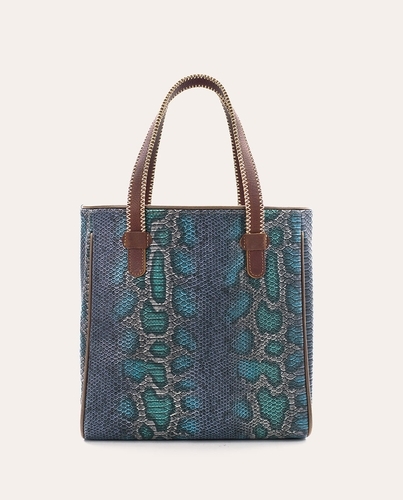 The exterior features a distinctive embossed python material in endless shades of blues and greens. 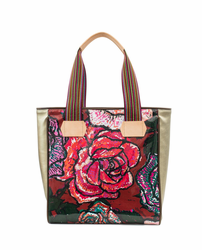 The interior dawns a glistening rose gold material for a stealth strike of color and sass. 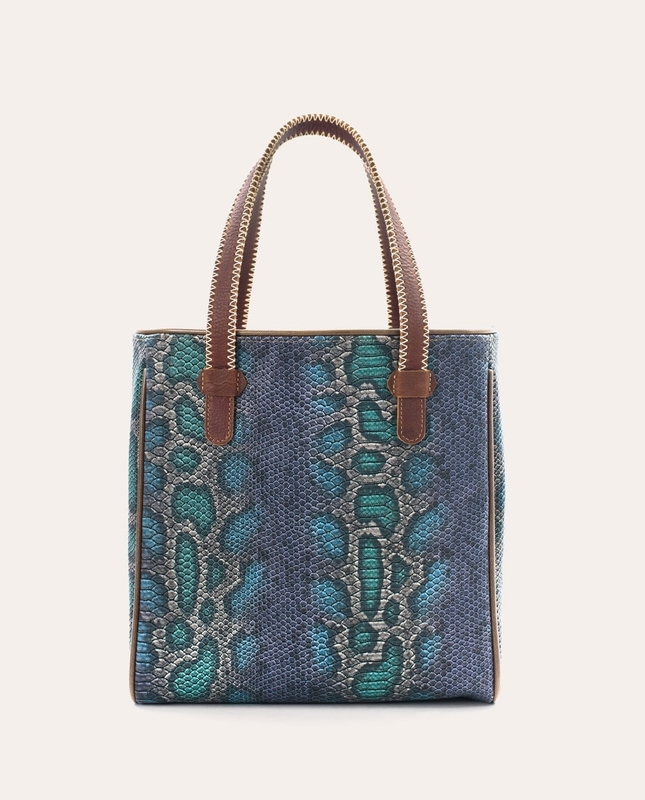 So go ahead, rock the Rattler�if you dare! 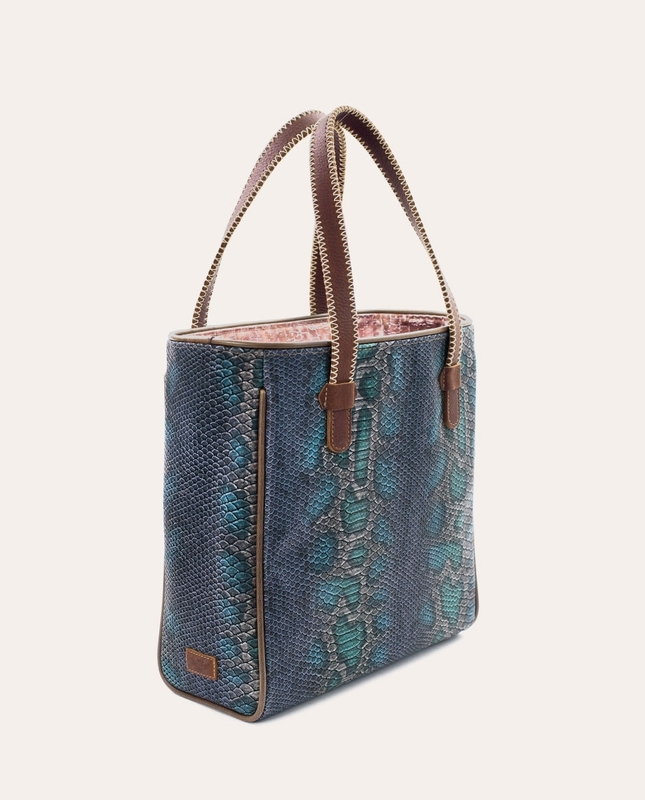 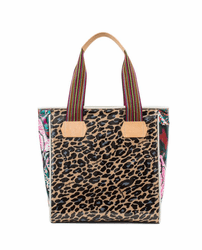 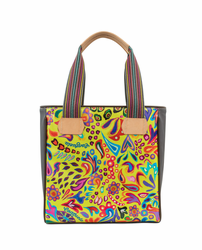 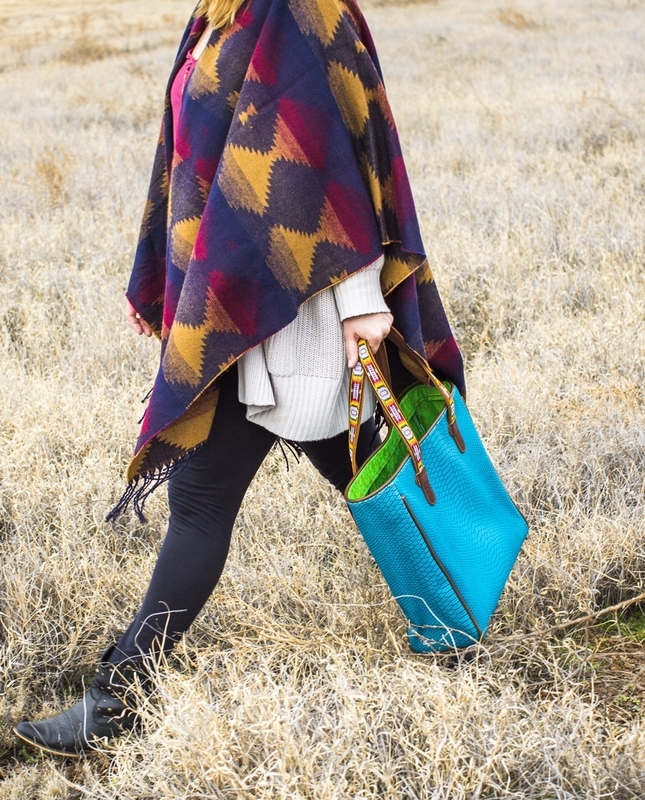 The Consuela Classic Tote is just the right size for your everyday needs, whether that�s work or play! 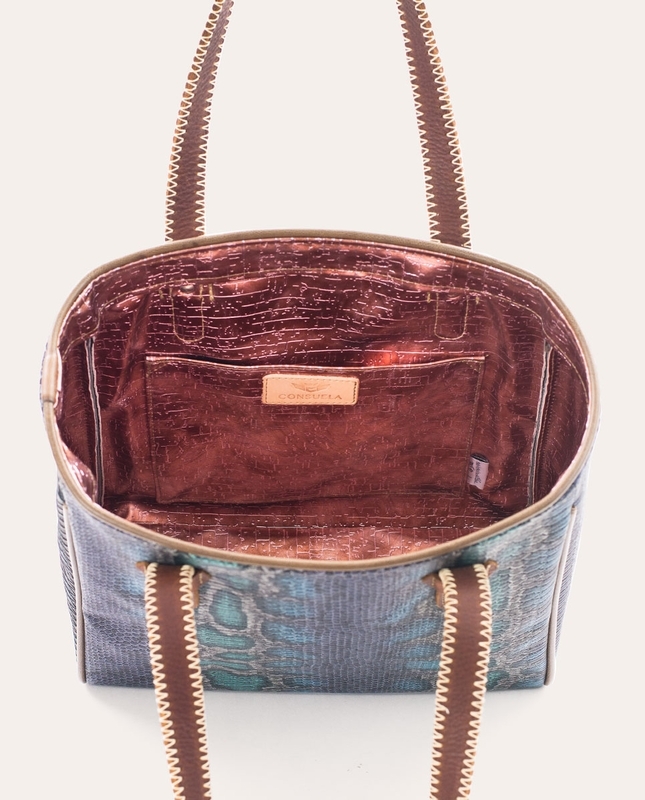 The spacious interior comfortably fits your laptop or tablet, and features a roomy side pocket for keeping your cell, keys, and other essentials organized and close at hand.